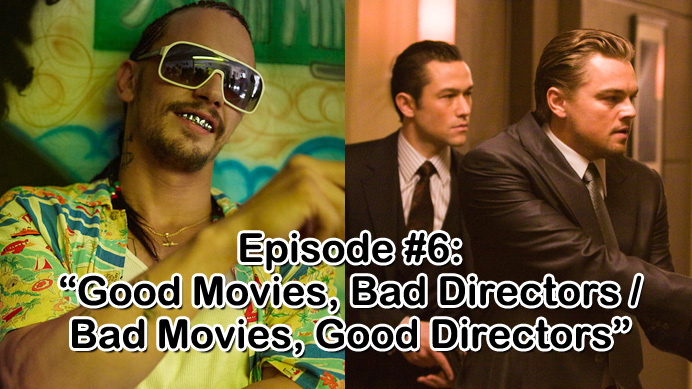 On this episode, I am joined by fellow Smug Film contributors John D’Amico and Jenna Ipcar. We discuss movies we like by directors we don’t typically like, as well as movies we dislike by directors we typically like. As always, we go on tangents along the way, take a quick break for a movie joke by comedian Anthony Kapfer, and then close the show with questions from our mailbag. If you have a movie-related question you’d like answered on the show, leave it in the comments or email us at Podcast@SmugFilm.com. If you enjoy the podcast, be sure to subscribe on iTunes, and leave a rating and a comment on there as well. Doing this helps us immensely as far as our ranking on there, which is what allows people to be able to discover us. Word of mouth is always best of all though, so spread the word!